Audacious. Wildly ambitious. Prolific. All describe William T. Vollmann, author of the seven- volume nonfiction work Rising Up and Rising Down and the Seven Dreams sequence of novels, which the Chicago Tribune hailed as likely to become one of the masterpieces of the century. In Europe Central, Vollmann presents a mesmerizing series of intertwined paired stories that compare and contrast the moral decisions made by various figuressome famous, some infamous, some unknownassociated with the warring authoritarian cultures of Germany and the USSR in the twentieth century. He conjures up two generals, one Russian and one German, who collaborate with the enemy for different reasons and with different results. Another pairing tells of two heroesa female Russian partisan martyred at the beginning of World War II and a young German man who joins the SS in order to reveal its secrets and halt its crimes. 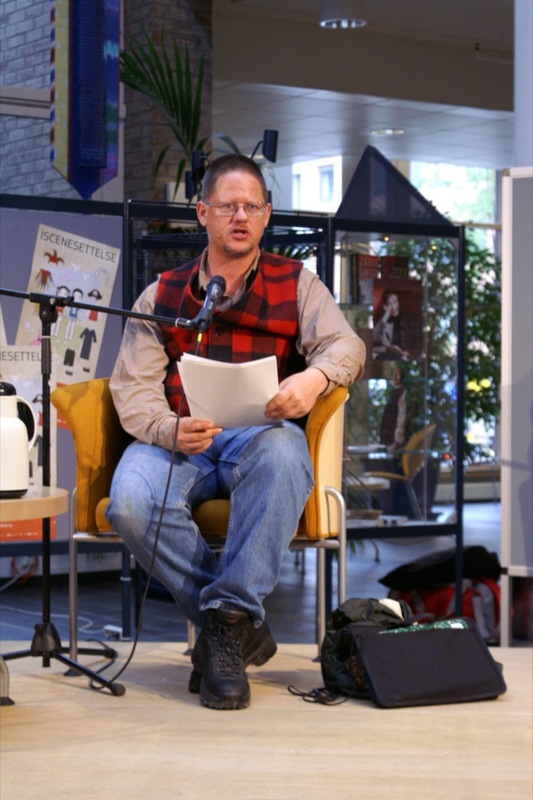 William Tanner Vollmann (born July 28, 1959) is an American novelist, journalist, war correspondent, short story writer, and essayist. He won the 2005 National Book Award for Fiction for the novel Europe Central. He lives in Sacramento, California, with his wife and daughter. Bio from Wikipedia, the free encyclopedia. Photo by Øystein Vidnes (http://www.flickr.com/photos/oysteinv/160077312/) [CC BY-SA 2.0 (http://creativecommons.org/licenses/by-sa/2.0) ], via Wikimedia Commons.